There’s not a great deal that can be said for English cuisine. Our nation’s favourite foods tend to hail from all corners of the world. But if there’s one thing the British have nailed, it’s breakfast. A ‘Full English’ breakfast, also known as a ‘fry-up’, has origins going back to the 13th Century. It was an Anglo-Saxon tradition to fix hearty breakfasts for guests and this continues today in the form of a Full English. The Full English breakfast is up there with fish n chips, roast dinner, bangers and mash and the like when it comes to internationally recognised and celebrated British dishes. Almost any breakfast menu in the UK will have one. It’s a hangover essential and a staple of British cuisine. With many different chains of restaurants and eateries offering a Full English on their menu, we decided to compare Full English breakfasts to each other to see which chain offers the best one. For obvious reasons, it had to be a chain restaurant or franchised business, as there are probably tens of thousands independent cafes, pubs, restaurants and so on that offer a Full English. So, if your adamant that your local greasy spoon does the best Full English in the world, you may be right, but that’s doesn’t help our study. 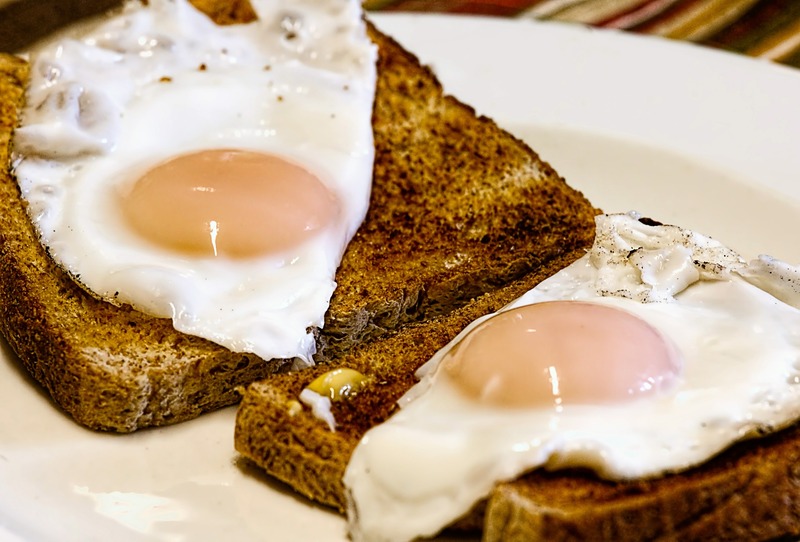 A Full English breakfast can take many different shapes and depending on your own preferences you can tweak the elements to get a breakfast that suits your tastes. Traditionally, every Full English breakfast will at least have the following: sausage, bacon, eggs and tomato. These four ingredients tend to be included in every Full English you will come across. Other regular features in a Full English breakfast are: baked beans, mushroom, black pudding, hash browns and toast. The first thing we did was to simply chart how much food you get and for what price from different chains. Starting off with Ikea’s ‘Six Item Breakfast’ coming in at £2.50 all the way up to Giraffe’s ‘Bigger Brunch’ which costs £10.50. But looking at it in such a black and white manner doesn’t really answer the big question on our lips: which is best value? To do this we had to look at how popular each item of a Full English Breakfast is. We found out some pretty interesting information in this regard. A YouGov survey on this topic revealed that despite tomatoes being present in every chain restaurant Full English, only 23% of people view it as an integral part of the breakfast. The most integral part of a Full English, according to the people, is bacon. We’ve already compiled a list of chain restaurant Full English Breakfasts, what you get and how much it costs. By comparing this with the actual demand for each item with the data from YouGov, we can combine the average quantity of an item with how much it is desired and then minus the retail price to work out a ‘Value Score’ for each. Which Full English Breakfast is Best Value? Let’s start by looking at third place. The ‘Farmhouse Breakfast’ from Farmhouse Inns. This absolute beast of a breakfast comes with two eggs, three rashers of bacon, two sausages, beans, three hash browns, mushrooms, tomato, black pudding, two slices of toast and a hot drink, all for £5.99. That’s a seriously hearty breakfast. In second place, Hungry Horse’s ‘Big Plate Special’ has three rashers of bacon, two sausages, two eggs, three hash browns, baked beans, mushroom, tomato and two pieces of toast for £4.99. There’s no drink included but it has a value score of 60% as the included items are high in demand. The first place entry is Farmhouse Inns’ ‘Traditional Breakfast’. For £3.99, you’ll get two pieces of toast, two rashers of bacon, an egg, a sausage, baked beans, three hash browns, tomato, black pudding and a hot drink. It’s similar to the ‘Farmhouse Breakfast’ in third place except its items are in higher demand with a value score of 66%. And it’s an absolute steal at £3.99. Which Full English Breakfasts are Worst Value? Before we reveal who came in our bottom three, we have to throw out a disclaimer. This study hasn’t taken into account the fact that these worst value breakfasts are likely to have higher quality ingredients than the best value. In a purely scientific manner, these breakfasts have come in last but that doesn’t mean that they aren’t delicious. Simply that you could get much more quantity elsewhere. Giraffe have come off quite badly in these findings and full disclosure, the retail price of these breakfasts is what’s landed them in the bottom. Giraffe’s ‘Big Brunch’ and the ‘Bill’s Breakfast’ from Bill’s will set you back £8.95 whereas Giraffe’s ‘Bigger Brunch’ will cost you £10.50. For those prices, you should really expect their ingredients to be a much higher quality. Again, not a great deal to be said about these other than this is what you’d expect from establishments like Giraffe and Bill’s. The quality of their ingredients might be slightly better, and your general dining experience is likely to be more refined at a Bill’s or Giraffe than a Wetherspoons or a supermarket café. But if it’s pure quantity and value you’re looking for then they’re not the place to go. At Appliance City, we have everything you need to make stunning Full English Breakfasts at home. In our cooking section you’ll find range cookers, hobs, microwaves and ovens. With matching cooker hoods on our website as well as refrigeration appliances and more, we’re your one-stop shop for all your domestic appliance needs. After all, a proper Full English deserves to be cooked with quality. Save money today when you buy online!